Our full line of sterile and non sterile specialty Hospital Products includes Silicone Tubing, Medical Grade Silicone Sheeting, Silicone Penrose Drains and T-Tubes. 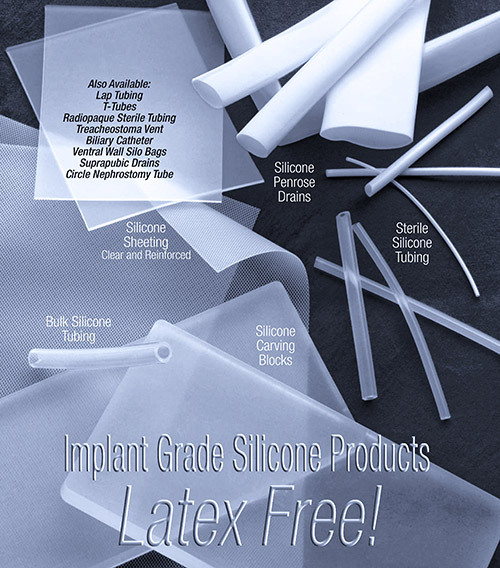 All of these products are Latex-Free and made from either Platinum Cured or Peroxide Cured Silicone. Copyright © 2019 Hanson Medical Inc. :: Medical & Health Care Product Supplies. All Rights Reserved. Manufactured by Hanson Medical, Inc.